When you need a vehicle that is big enough to carry a lot of cargo but small enough to save on gas and maneuver around town, consider both the 2016 Chevrolet Sonic hatchback and the 2016 Chevrolet Trax. Drivers in Glendale Heights and Bloomingdale can rely on both of these models to serve as daily drivers, and to meet the unique challenges of the of the road whenever and wherever they appear. Find out how they compare to each other, and research your next vehicle purchase carefully. 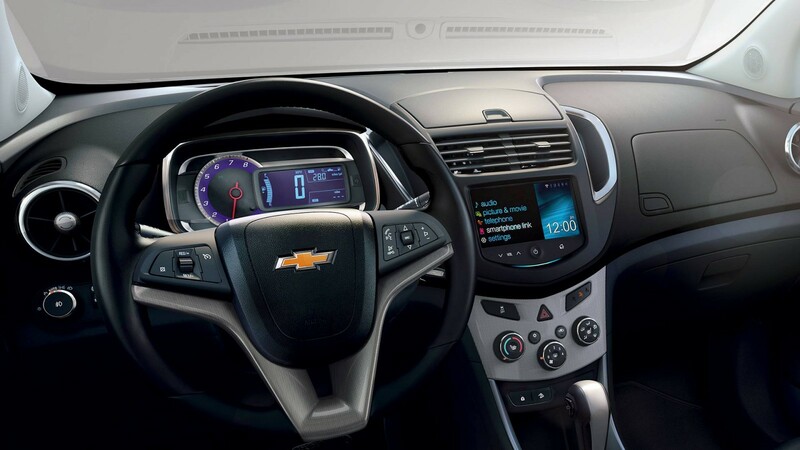 When you’re ready to explore both models in person, visit Sunrise Chevrolet in Glendale Heights. Each of these Chevy cars ride on similar engines, but the 2016 Chevrolet Trax offers up a little more standard power. Under the hood, it has a turbocharged 1.4L four-cylinder that puts out 138 hp and 148 lb-ft of torque. Fuel efficiency is rated at an EPA-estimated 26 mpg city and 34 mpg highway. 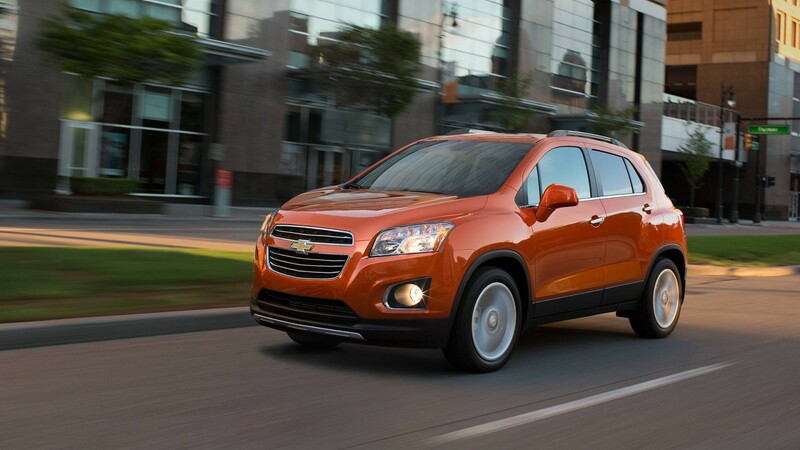 The Trax is offered with either front-wheel or all-wheel drive. 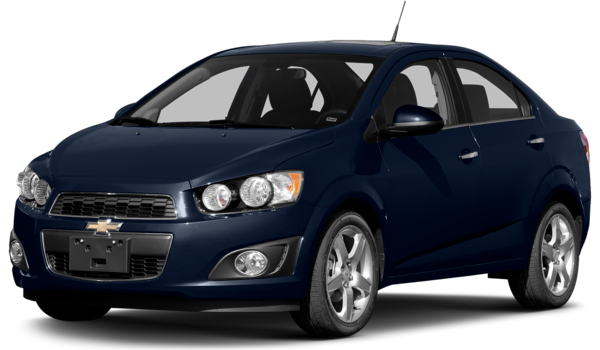 The 2016 Chevrolet Sonic comes standard with a 1.8L four-cylinder that puts out 138 hp and 125 lb-ft of torque. Also available is the same turbocharged 1.4L four-cylinder found on the Trax, producing the same 138 hp and 148 lb-ft of torque. On the Sonic, though, this engine is able to achieve fuel efficiency ratings at high as an EPA-estimated 29 mpg with and 40 mpg highway and a 0-60 mph sprint of only 8.4 seconds. However, the Sonic only comes with front-wheel drive. 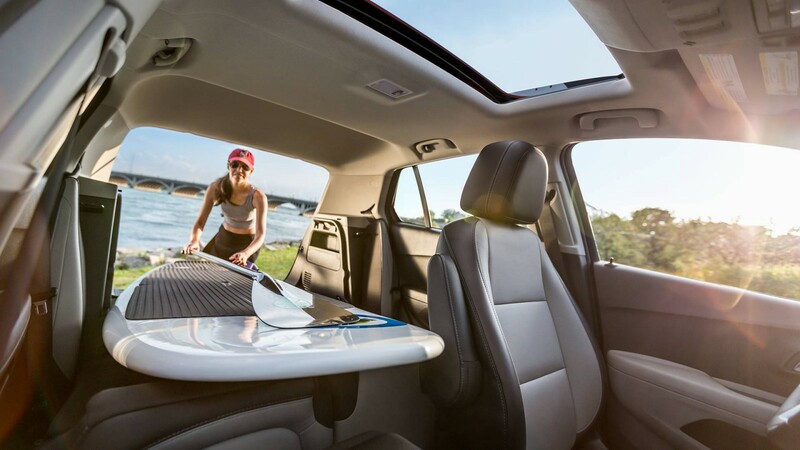 If you need more room to stretch out, you might appreciate a little extra space in the 2016 Chevrolet Trax. The cabin in the Trax measures 111.5 cubic feet, and the cargo area measures 18.7 cubic feet. With the rear seat folded down, the cargo area expands to a generous 48.4 cubic feet. The cabin in the Sonic measures 105.2 cubic feet, and the cargo area measures 19 cubic feet. With the rear seat folded down, that figure climbs to 47.7 cubic feet. And if space is not your priority, the Sonic is also available as a sedan that still carries 14.9 cubic feet in the trunk and has an MSRP that is hundreds of dollars less. 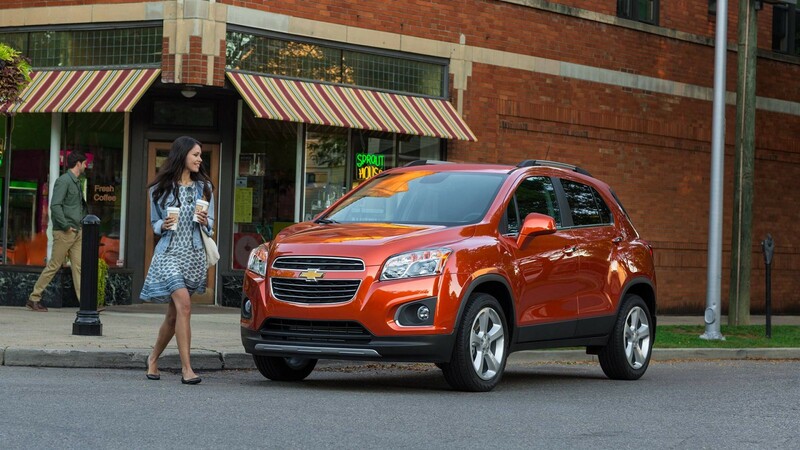 Both of these models are impressively equipped, but the Trax comes loaded with more features from the start. The introductory trim has 16-inch steel wheels, full-power accessories, and a fold-flat passenger seat. It’s also equipped with technology like the Chevy MyLink infotainment interface, a seven-inch touchscreen, the OnStar telematics system with a 4G LTE connection, a six-speaker stereo, and Siri Eyes Free voice control for iPhones. The Sonic also comes standard with OnStar but has smaller 15-inch steel wheels, a four-speaker stereo, and none of the other features mentioned on the base trim. However, you can add many of these features by opting for a higher trim level or selecting options like a sunroof and advanced active safety features. Picking one of these vehicles over the other is a tricky proposition, but they do have some important differences to consider. 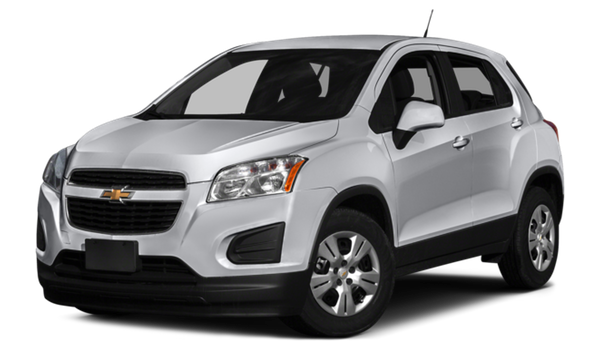 The 2016 Chevrolet Trax offers more power as standard, offers available all-wheel drive, has a longer list of base features, and gives you more room to work with. The trade off is that it costs more, and because of its bigger size, it doesn’t use gas as efficiently or sprint up to speed quite as quickly. The 2016 Chevrolet Sonic does use gas efficiently and is able to achieve the same power ratings as the Trax with the optional engine installed. Plus, it costs over $5,000 less from the start. However, you may not be able to fit quite as much stuff in the cabin or the cargo area. Think about how much you want to spend and how much you need to haul, and make that the basis of your decision. We have both of these models on our lot right now, plus lots of other options that are bigger or smaller depending on your needs. Head to Sunrise Chevrolet, located at 414 North Avenue in Glendale Heights, IL. We are only 10 minutes from Bloomingdale and really easy to reach by taking Glen Ellyn Road south and turning right at The Brunswick Zone. If you have any questions, contact us to get an expert response.